We're almost at 70% of our goal and all projections show us going over our funding goal! Thank you everyone for your support! 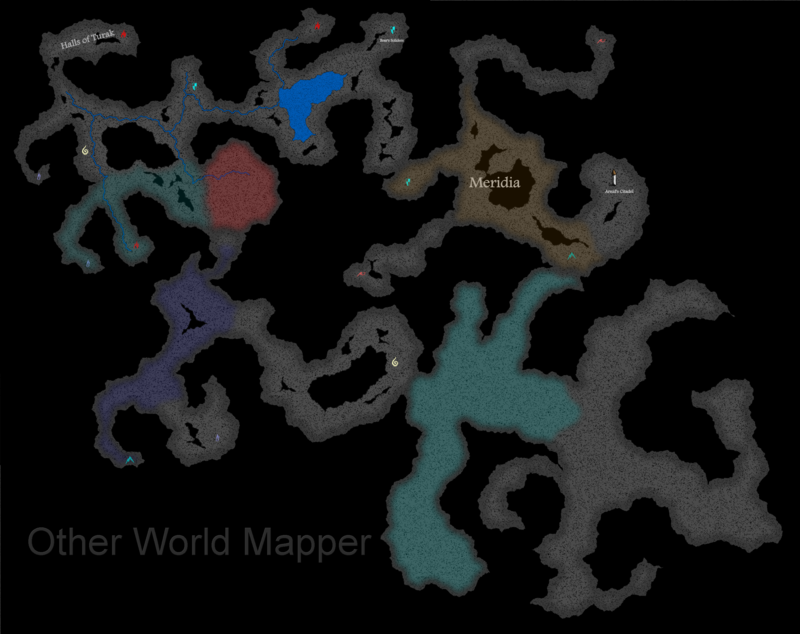 We've made more sample maps, including the cave map below. If you have a type of map you'd like to see, let us know! Location Notes for any map item. And we'll give you a sneak peek into our second stretch goal. This is a pre-alpha video of our very early tests for the dungeon tools. We have other great stretch goals planned. Please help us reach them! Option to have a circle or ellipse represent the edge of a map instead of a rectangular edge. Option to export the raw vector data from your maps to SVG files. We'll keep you updated as the campaign progresses! Troy Stuart, r3v, and 3 more people like this update. @David We have planned something like that, which would allow you to work on the poles separately, and take care of turning them into the proper Equirectangular projection, if you create your map project as an spherical world map . However, it's going to have to be a later stretch goal (or something for after the first release). Yes. Something like that. I'm not entirely sure what the best way to do it would be, because I'm not a great cartographer (not yet anyway). All I know is that people that are not experts often seem to not even realise that making poles for maps is difficult. And even when people do realise it is difficult, they don't seem to know how to get around the problem, unless they go use a bunch of other tools, like Thorf did. And most people can't do what Thorf does, because he has spent years studying how to make poles work. Maybe if the data was stored normally (is that the equirectangular representation) but we were able to "move a camera" up over the top of the pole, we would be able to draw an island that looks approximately circular, but have the data stored corrrectly (to make that long strip). From what I could tell of Thorf's technique, he went backwards and forwards, distorting data using G.Projector and then fixing errors that G.Projector dropped into his data. I think that changing the viewpoint, but not saving the data the "original way" (instead of saving it in a new projection and then bending it back to the original view) could avoid the need to fix things. I'm not sure of the exact maths here. I realise that spheres are a bit tricky. I think this would be a fairly hard bit of programming. But I think that if you had a stretch goal to solve this problem, it could help a lot of people solve a problem that most people don't understand. @David Are you asking for the option to have Other World Mapper take a landmass and turn it into a polar landmass (long strip)? So you could work with the "shape" you want, but then have a correct Equirectangular representation in the map? I want to make sure I understand fully before answering! I wonder if you will be able to provide any sort of tools to help people avoid breaking the poles of spherical planets. Me and my RPG friends have found a lot of *professional* maps, that have poles that do not work. I think it would need to be another stretch goal, but if you could get Other World Mapper to do all the annoying spherical mathematical geology stuff, you could maybe give OWM users some sort of "polar shift" ability, where they can work on the north and south poles, without needing to make them into long strips outside of your software. Then they could design the continents close to poles that look the shape they want them to look from above. @David Look at the third stretch goal. We're introducing meridians and parallel's from projections other than equirectangular. With Mercator, Elliptical, Gauss conformal (maybe others) meridians and parallels it would be easier to keep track of the ratios as you try to make an entire planet surface map. We have other features planned, but that's for other stretch goals (or later updates to the software). Re: "If you have a type of map you'd like to see, let us know!" How well is Other World Mapper able to prepare entire planet surface maps? @r3v Tools for city maps would come with another stretch goal. You can make simple city maps with the dungeon tools (i.e. simple street map), but not quite a town. "Dungeon style" map of a castle can be done, we'll try to make a sample one in the next few days. > If you have a type of map you'd like to see, let us know! How about a small town or section of a city map? Or perhaps a castle/fortress?